Physicians are increasingly dissatisfied with just being clinicians and want to get involved in healthcare innovation. Similarly, innovative companies need the clinician’s insight into how care actually works in order to create solutions that work for doctors, patients, and all stakeholders in the healthcare value chain. Speakers/panelists to be announced. To register, go through Meetup here. Four entrepreneurs present the ideas which they believe could be The Next Big Thing. Moderated by Dan Potocki of Finis Ventures who is experienced in spearheading business development and strategic initiatives for industry-leading data analytics tech startups. Cost: $15 non-members; $12 members, and includes wine and cheese refreshments. Register in advance here. Rounding up more Events of Summer–plus speaker submissions closing soon! 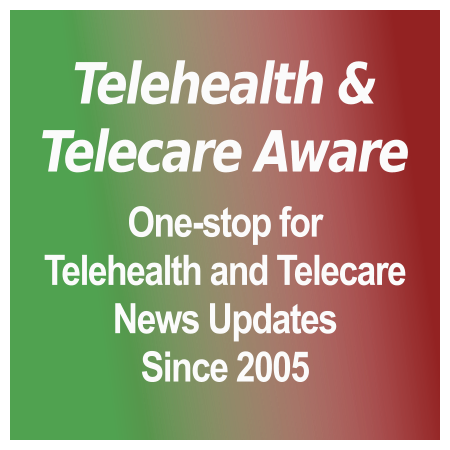 [grow_thumb image=”http://telecareaware.com/wp-content/uploads/2017/12/Lasso.jpg” thumb_width=”150″ /]Time flies and so does your calendar! In addition to the important RSM event next Wednesday (maybe more so than the G8 Summit or the NoKo talks, but neither are introduced by Editor Charles! ), here are more for your consideration. Wednesday, 13 June: New York State Chapter’s annual miniHIMSS, “Healthcare on Broadway,” has a full day of speakers in four acts with an emphasis on healthcare advances in NY State and technology applicability. New World Stages in Manhattan starting at 8am. More information here, registration here. Tuesday, 26 June: Mission Physician Transition into healthcare tech hosted by Health 2.0 NYC and MedStartr, 6-8 pm. More information on Meetup. Wednesday, 27 June: Newark Venture Partners hosts their 3rd annual Demo Day for their 2018 class at Prudential Center, Newark NJ. Doors open at noon, presentations start at 1:30pm. Investors in NVP span tech, financial, and healthcare with Amazon, Prudential Financial, Dun & Bradstreet, RWJ Barnabas, Horizon BCBSNJ, TD Bank, and Panasonic. Free registration and more details here. Saturday, 30 June: Deadline for speaker submissions for the Connected Health Summit: Engaging Consumers on 28-30 August in San Diego. The online form is here. TTA is a media partner of the CHS. Tuesday-Wednesday 10-11 July: The King’s Fund Digital Health and Care Congress. More information here. TTA is an event supporter of the Congress. Friday 10th August: Deadline for entries/nominations for the ITEC Awards 2018, to be awarded at the TSA’s annual International Technology Enabled Care Conference 2018 16-17 October in Birmingham. The winners in five categories will be announced on 16 October during the Gala Dinner. Overview: Big Data is rapidly transforming the healthcare industry – from personalizing content to the patients’ individual needs to making medical diagnoses and outcomes more predictive. The panel of industry experts from various companies ranging from healthcare publishing, research, and technology will discuss how Big Data is enabling this evolution with content, product, and services to democratize health information and provide insights that improve medical care, research, and the overall patient experience. Technology is already making a difference, but raises privacy and ethical issues. Rob Parisi, SVP/GM Verywell – This evening’s sponsor and site host is a leading health and wellness site that provides trusted advice for a healthier life to its 20 million monthly unique visitors. Tickets $15, the snacks and drinks (and crowd) are great. Register and pay here. TTA and Editor Donna are longtime supporters of Health 2.0 NYC and Medstartr, the organizing groups behind this event. A startup looking for funding? Look no further than the Digital Health Breakthrough Network. Sponsored by NYCEDC and HITLAB, they are in the process of recruiting their fourth class of startups. Eligible companies are early-stage startups (pre-revenue/pre-Series A), based in NYC (50 percent+ of employees), with an innovative digital health technology that presents a novel solution to a significant need in the health marketplace. Applications are open until 15 June. More information here and here. [grow_thumb image=”http://telecareaware.com/wp-content/uploads/2017/12/Lasso.jpg” thumb_width=”100″ /]Alex Fair, whom our Readers know as the head hombre of the MedStartr health innovation community and MedStartr Ventures, has several ex-NYC opportunities in New Orleans and Miami (where it’s a lot warmer than NYC!) for innovative early-stage healthcare companies. Deadlines are soon, so if you are interested, move quickly! MedMoMiami – application deadline 1/19 (expired). Event is January 25. The first ever #MedMoMiami will be Jan 25th. This event is jointly organized with the Miami Health 2.0 Chapter. Apply to pitch in Miami here. Other events are in planning stages for NYC, Austin, Maryland, San Diego, and Saratoga NY. #MedMo18 will be 29-30 November. TTA is a media sponsor and supporter of Health 2.0 NYC and MedStartr. Editor Donna is a co-organizer of NYC events. [grow_thumb image=”http://telecareaware.com/wp-content/uploads/2015/11/MedStartr_red_grey_sm.jpg” thumb_width=”150″ /]After an intense and overflow attendance Hospital Innovation Programs Roundtable last Wednesday hosted by NYC’s largest urgent care, CityMD, and with eight speaker/panelists from Mount Sinai, NY-Presbyterian, Northwell, and Startup61/Melbourne Australia Health Accelerator, what could be better than doing it again in two weeks? Wednesday 5 April’s MedStartr/Health 2.0 NYC presentation on healthcare’s evolution will be a little more relaxed with three panelists so far, but they are rare ‘gets’: Greg Downing, DO is the Executive Director of Innovation at the US Department of Health & Human Services (HHS), an institution much in the news with Federal changes in healthcare. Jay Parkinson, MD, MPH developed the first commercial cloud-based EHR, Hello Health, back in 2008 and founded his current telemedicine company, Sherpaa Health, five years ago. Rich Park, MD is both host and the founder-CEO of CityMD. All have different views of how healthcare is evolving, so it should be both an interesting and full evening. It begins at 6 and wraps up at 9pm, with plenty of networking time. Tickets are $35. Advance reservations are required due to building security. Ticketing is being done through the Meetup Group Health 2.0 NYC here. If you are not a member, please email MedStartr directly at members@Medstartr.com. Videos are now online for the 22 March Hospital Innovations program and 1 March’s Rise of the Healthy Machines (#RISE2017). The latter includes keynotes, panels, and the six pitches for the Challenge. December’s #MedMo16 is also online. TTA is a MedStartr and Health 2.0 NYC supporter/media sponsor since 2010; Editor Donna is a host for this event and a MedStartr Mentor. 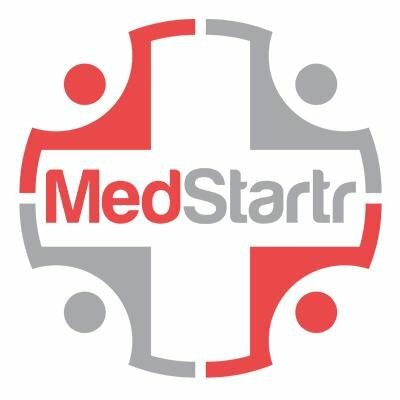 Check the MedStartr page to find and fund some of the most interesting startup ideas in healthcare.